Summer is definitely here in California and all the fruits are ripe and ready to be eaten. 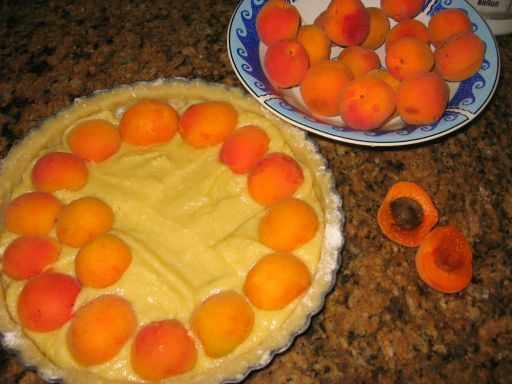 I got a few of Apricots from my neighbor's tree and I also got a bunch from my friends. 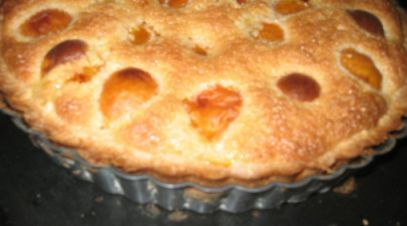 It is impossible to eat them all so I decided to make a fresh apricot tart and make use of most of the apricots. 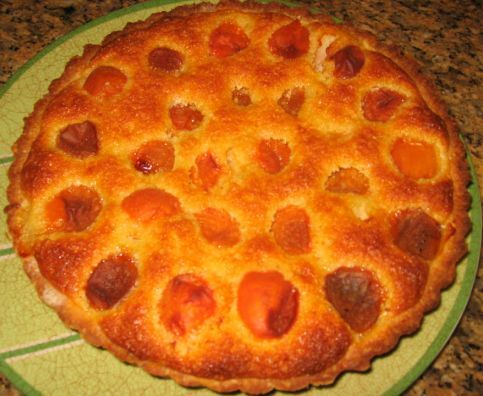 Tonight we are having a few people over for dinner so I will serve the Apricot tart for dessert. 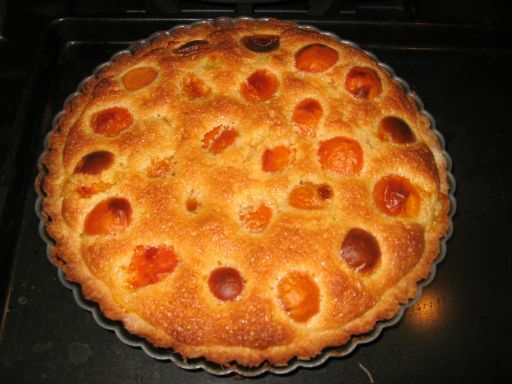 Beautiful Apricot tart filled with Frangipane (Almond filling). 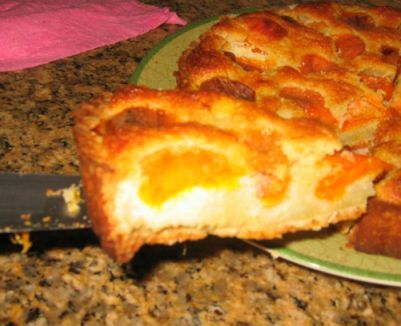 Cutting a nice slice and I am ready to serve it. 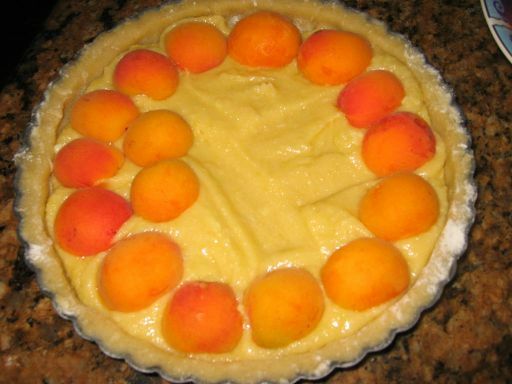 Filling the tart with Frangipane and decorating the apricots on top of the tart. 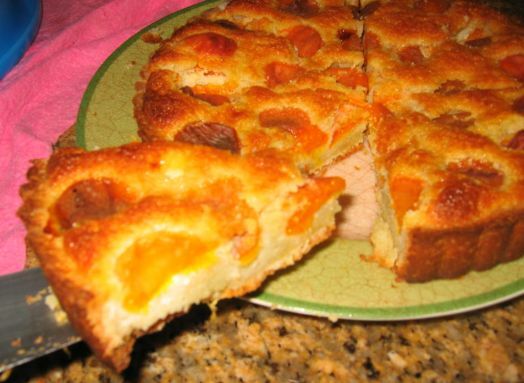 The apricots are perfectly ripe and so sweet. 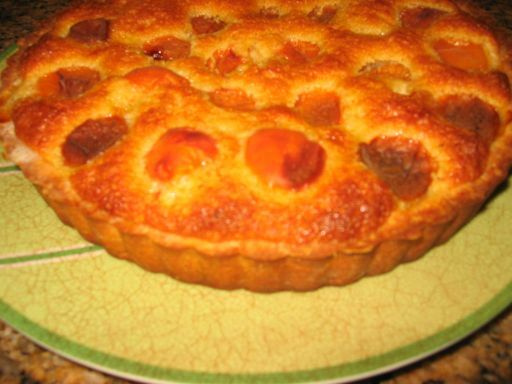 Freshly out of the oven and piping hot! 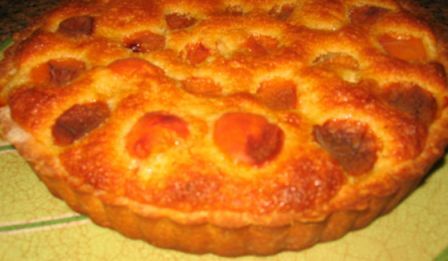 The tart is cooled and ready to be served!